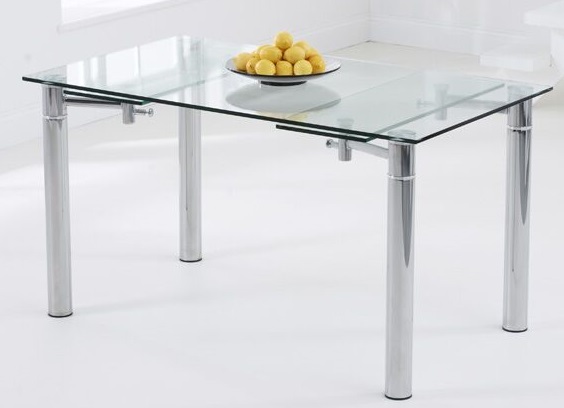 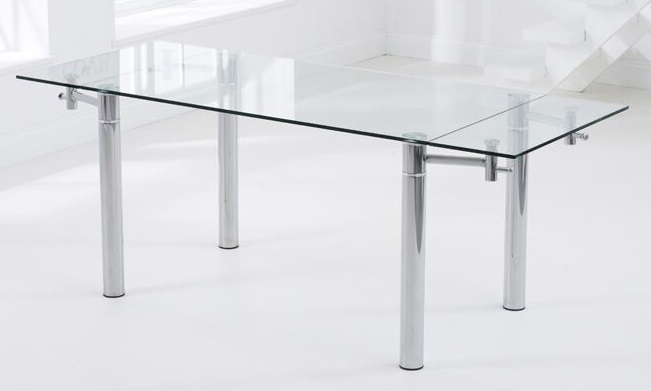 This Grenada 140cm Glass Extending Dining Table is a chic, stylish and versatile table perfect for any occasion. 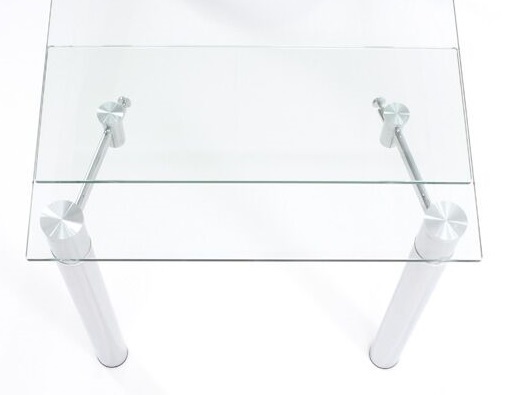 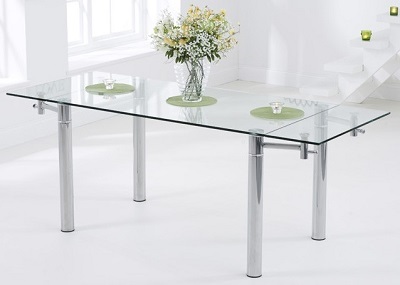 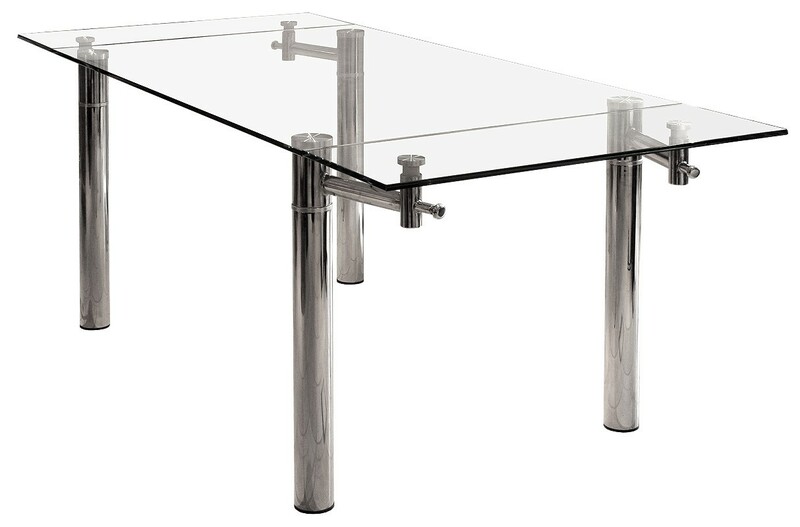 An impressive centrepiece in any setting, the glass dining table seats 4 people and extends to comfortably seat 6. 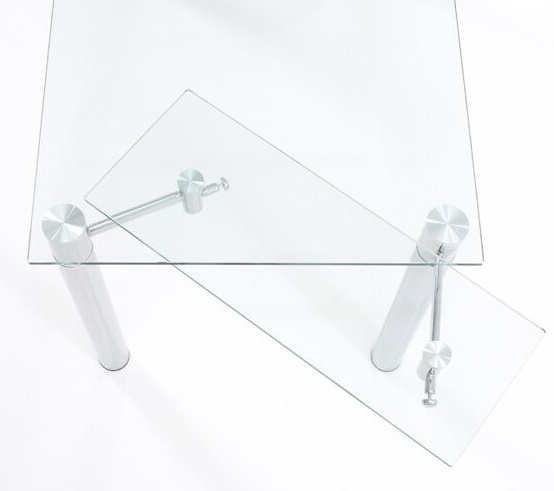 Clever Extending Mechanism. 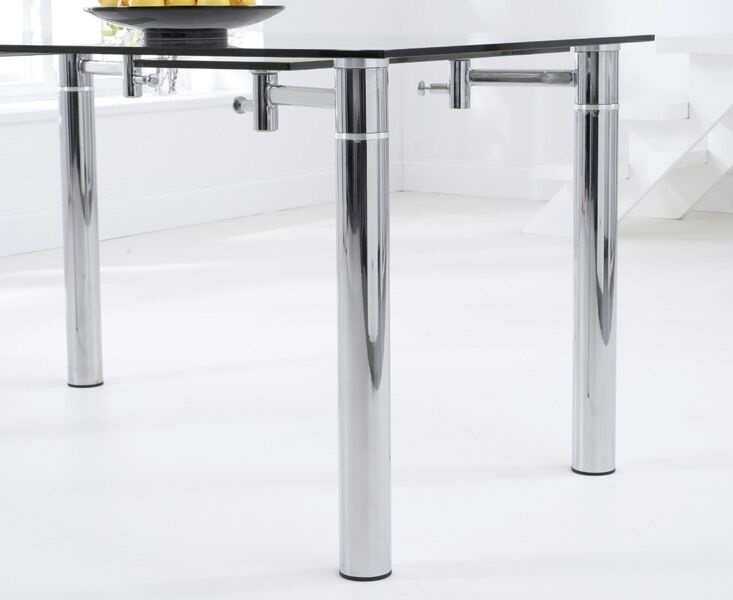 Simple and easy to extend, lowered by pulling the two chrome plungers allowing them to swing freely underneath the table.